The London Best - John Rigby & Co. Built in much the same way as they were 100 years ago, the London Best rifles incorporate engraving of choice from some of the world’s best renowned engravers and feature deluxe stocks of supreme quality wood. The rifles are fabricated by hand at Rigby’s London premises using Mauser actions of various lengths, and premium quality barrels from our select suppliers. The choice is yours: pick any calibre; choose from Magnum or standard length action, and double or single square bridge; specify your own barrel length and profile; select your wood, and have the stock shaped to your own personal specifications. All London Bests are built with a range of premium features as standard. These include a choice of Grade 7 Turkish walnut stock blank, a leather covered recoil pad, and London Best barrel black and oil finish. All models feature the maker’s name on the barrel, a chequered bolt handle, and a stippled rib and front sight, plus engraved pins and recoil bar and gold inlaid details. Use our gun configurator to see additional features and upgrades. Available in three classic Rigby calibres, the Vintage edition London Best is built to specifications taken from pre-1940 rifles held in our collection. Like all London Bests, it is a rifle custom built according to a client’s wishes. Each Vintage edition, however, is built from a historic pattern, and bears a number of features that evoke the Rigbys of the past. Built in much the same way as they were 100 years ago, our custom-made London Best rifles incorporate exquisite engraving from some of the world’s best renowned engravers and feature deluxe stocks of supreme quality wood. 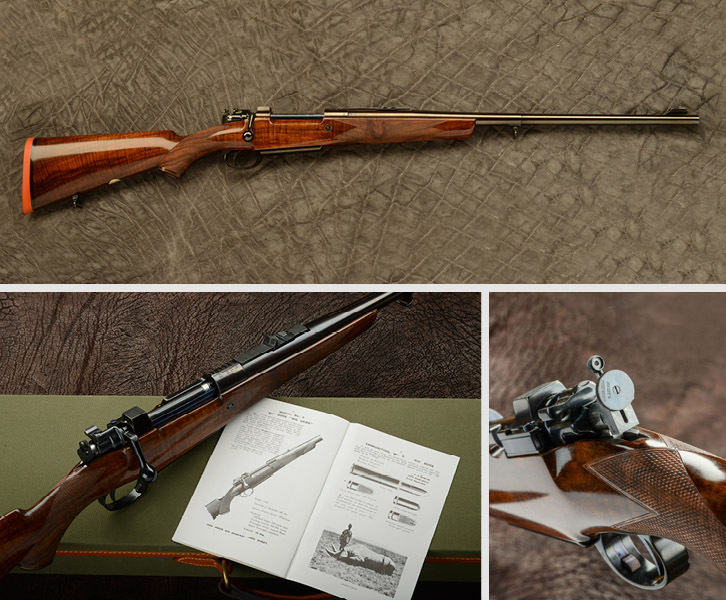 Like all London Bests, the London Best Vintage is a bespoke rifle, however, it is built from a historic pattern and bears a number of features that evoke the Rigbys of the past. Additional colour case hardening is available on magazine boxes, trigger guards and scope rings. Gold inlaid details, such as distance numbers on the back sight, are available for all London Bests. 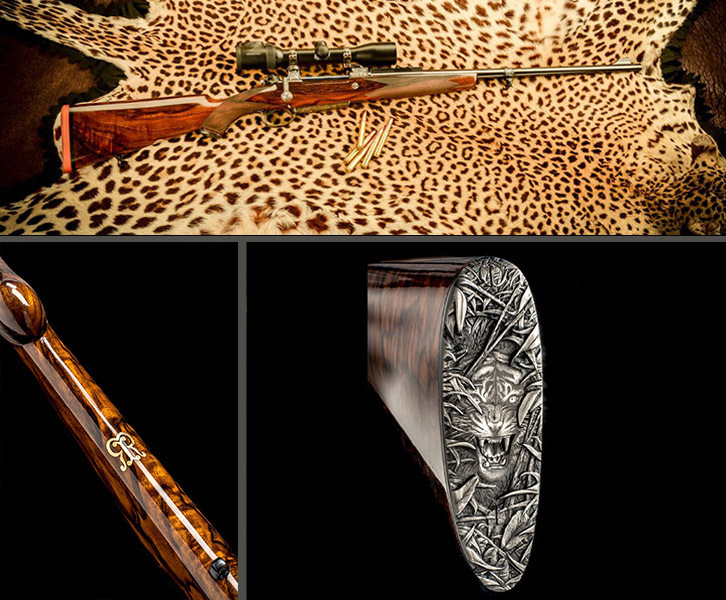 Complement your rifle with London Best accessories including made-to-measure cases and gun slips.